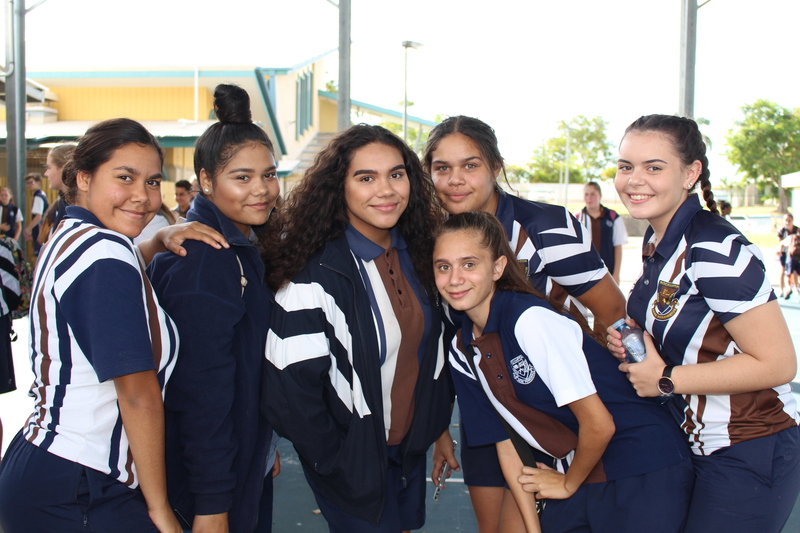 MY name is Tennachiah Richards and I am a full time grade 12 student, studying at Rockhampton State High School. My Indigenous background includes being of young Aboriginal descendant. My people are from both the Karumble and Yimen tribes. I was born in the year 2000, my Mother Pia had me at the age of 16 along with my Father aged 17. Both of my parents were unable to complete school for a few reasons. I am from a family of 7, consisting of my Grandparents, Susan and Ray, my Uncle Levi, my two younger Sisters, Kassindah and Taliciah, and finally my younger cousin, Lesane. I went to school at Allenstown from grades 1 through to 7. From there I began my secondary education at Rockhampton State High School in grade 8 and am on track to be the first in family to successfully graduate grade 12 this year. There was always issues that affected attending school which resulted in not wanting to go to school, starting from primary. For starters, my Grandparents were unable to drive which resulted in catching the bus to and from school every day as we lived on the other side of town. Getting ready with everyone in the house at the same time also made it hard to be on time. Uniforms, costs and so much more contributed as well. But it was clear growing up I had two distinct pathways. I could come to school every day, all day, behave well, achieve, and wear correct uniform every day. I knew when it came to the time I could decide which pathway I wanted, number two would always be a number one priority. I decided that regardless of my background and upbringing I wouldn’t just be the next in line to repeat an unfortunate cycle. Instead I’d be the first in my family to excel in my studies and graduate. I have been participating in the ARTIE Academy since Grade 8, 2013. Beginning Grade 8 is a difficult and scary step for all. For many it is because of the transition of being the top of the food chain in primary to the very bottom in high school. 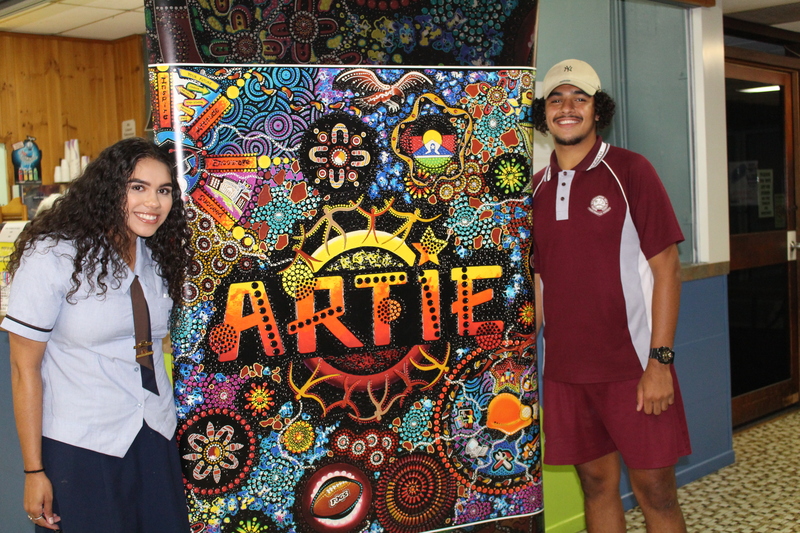 I believe that as an Indigenous student and being introduced to Indigenous programs such as ARTIE is great. They take you in and give you the comfort you desperately desire when entering such as uncomfortable and new chapter of life and from that point on consistently and continuously assist you throughout your schooling life. I honestly do believe ARTIE helped me throughout high school by motivating me to do my best and knowing if I did, not only would I be awarded with the good grades but additional ARTIE awards! I remember having camps to Brisbane available to us in my younger grades, which I LOVED everything about as well as the ARTIE fun days we have now. In my head all I had to do was attend school, do my best to listen and learn in class in preparation for exams and assignments, which is expected of every student. But unlike every student, I was a part of such a great program that if I was able to accomplish my goals I was able to attend a Camp in which I would gain skills, respect, appreciate and understand values of my culture, myself and everyday life, as well as it being such a great trip in general. In fact it was that trip in which I heard my first life changing motivational speech spoken by Tom. Although I have heard the speech repeated since then, I will still always remember hearing it for the first time and how powerful and motivational it was. This still applies for the ARTIE fun days we so fortunately get to have. Personally I believe that ARTIE has helped me in aspects such as attendance, attitude within school and my vision for the future. It has helped me in my attendance as I now carry that motivation to want to go to school every day and on time. It has taught me the importance of attendance in school and to be at school all day, every day. As well as being taught the value of education and showing and telling us through word of mouth and even how we are fortunate to opportunities such as a free education now a days and how important it is to grab a hold of opportunities now whilst we have them. I think Artie may be able to help others as it gives them encouragement to come to school and that grit to want to come to school and attend and behave in order to achieve. This is because ARTIE encourages Indigenous students to put in the hard work now in order to be rewarded later. After students do put in the hard work ARTIE acknowledges this by rewarding them. Doing so is great, it makes the students feel proud of themselves and giving them that sense of accomplishment as well as students being able to show off their collection of prizes. My favourite part of the program, which I assume is the same as many others is the rewards. After each term and semester we are awarded with deadly ARTIE branded and designed prizes. These array of prizes have included clothing, sunglasses, speakers, bags and water bottles just to name a few. Not forgetting to mention the ARTIE fun days! After participating in this program I believe that I have learned many things both educational wise as well as life ways. It has opened my eyes to the reality of the importance of school not only right now but for in the future. I would definably be very displeased and disappointed if ARTIE was to discontinue for any reason. All of my reasons within the text above contribute to why I strongly believe in the ARTIE program and the benefits kids are able to receive as an outcome of participation within the program. It is clear that Indigenous students are behind in education in comparison to the non-Indigenous students. 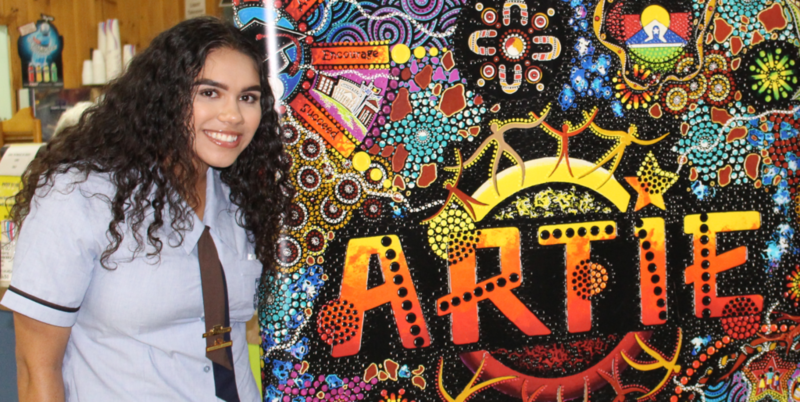 Program such as ARTIE contribute strongly to ‘Closing the Gap’ in which has separated Indigenous and non-Indigenous students from the completion of education. ARTIE does this by encouraging students to work better at their education in order to better their schooling and themselves in general. After school I wish to have a gap year. During this gap year I want to seek employment, I wish to work in order to save for the following year. In the following year I want to enrol at TAFE and study Community Services. In which will open many pathways for my future. In the long run I wish to be able to help Indigenous youth today better themselves and their lives.